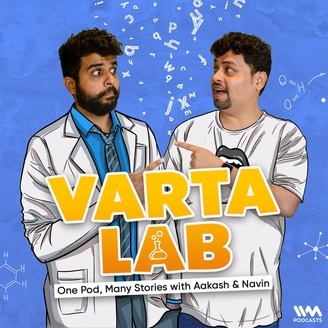 Welcome to Varta Lab, a delightful concoction of stories featuring Aakash Mehta, one of India's most obsessive storytellers on and off stage, and Navin Noronha, who is an okay person. Together they tell stories to each other from their life and welcome others to do the same. Fun times. BRING OUT THE TISSUES. Navin and Aakash speak to their most-wanted guest Tejas Menon on their season finale... and things get a little bit of funny and a little bit of this and that. 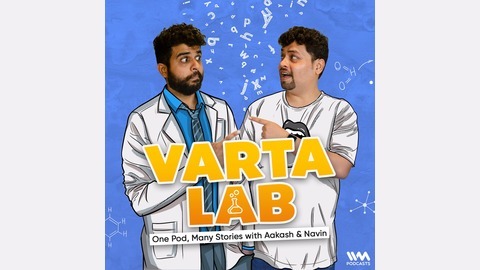 Tell us how you liked this season of Varta Lab! We'd love to hear from you.